We advise on, prevent and solve data security problems. Our clients are global corporations, government departments, critical national infrastructure, financial institutions, schools, and telecoms companies. They face some of the most demanding security challenges of all. For more than a decade our highly-qualified team of IT systems engineering consultants have worked in the UK, and on numerous overseas assignments, with organisations large and small, and with individuals, to create secure systems from end-to-end. 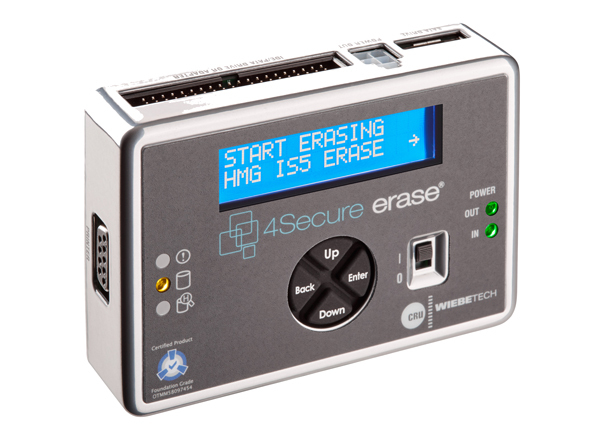 Introducing the only standalone hardware based tool for erasure of hard disks to IAS5 standards, certified by CESG.